Xavier Domonique Smith, an aspiring rapper who was arrested during a police raid of Justin Bieber's Calabasas, California mansion, pleaded no contest Wednesday to felony possession of ecstasy. 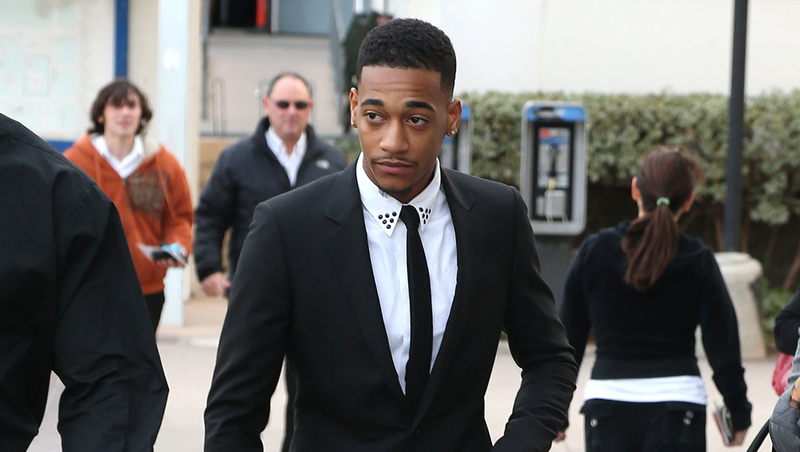 Smith, who goes by the stage name Lil Za, was sentenced to community service and three years of probation. He was also ordered into a drug treatment program and fined $1,000 for breaking a jail telephone while in custody, Los Angeles County District Attorney's Office spokesman Ricardo Santiago said. The 20-year-old rapper's felony conviction can be reduced to a misdemeanor if he successfully completes his sentence, which also requires him to pay the Los Angeles Sheriff's Department $600 in restitution for the broken phone. Smith was arrested Jan. 14 after deputies said they found him with drugs while searching Bieber's mansion for evidence in a neighbor's egg-tossing vandalism case. Prosecutors are still considering whether to charge Bieber with vandalism. Detectives found three to four rocks of ecstasy and 16 pills apiece of Xanax and oxycodone in Smith's bedroom at Bieber's house, according to a probation report that describes his arrest. Smith told officers he did not use ecstasy but "he gives it to girls because they 'love it,'" according to the probation report filed Wednesday. Smith was not interviewed by probation officials, who wrote in a report, "It appears he keeps drugs to satisfy young girls that he is around." Smith is identified as Bieber's personal assistant in the probation report. He was originally charged with possession of oxycodone, but that charge was dropped Wednesday. In addition to searching Bieber's mansion, detectives also have served a search warrant on the photo-sharing site Instagram to try to match images of the pop singer's clothing with surveillance footage of the egg attack. Authorities said images showing a man who matched Bieber's appearance, running from his neighbor's house and high-fiving his friends, were seized from the pop singer's home during the search.